GOG is a service that sells PC games and offers a client with community and update features, much like Steam. Difference is, GOG focuses on DRM-free games, which allowed them to come up with a scheme to lure Steam users over to their side of the online galaxy. Today GOG announced GOG Connect. 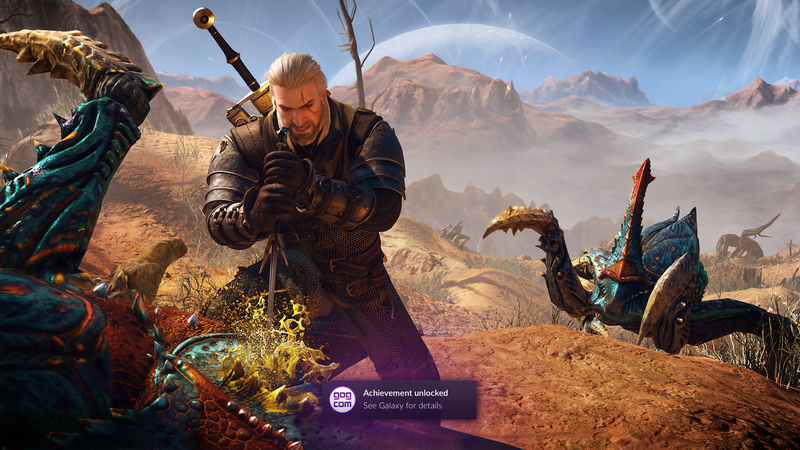 It’s a clever use of Steam’s API that lets you link one Steam account with GOG. You’ll then get DRM-free versions of Steam games you’ve purchased. Rather than glorified game rentals as dictated by the Steam Subscriber Agreement and the service’s own ups and downs, you get DRM-free versions. They’re GOG-friendly, but GOG’s client, Galaxy, is completely optional. As PC game clients go, though, it’s pretty slick and has a few features Steam should seriously consider adopting. It’s at least worth a look. So yeah, it’s a handful of pretty solid games, but just a handful. For most people, that’s probably not enough to get them to make the switch. Then again, perhaps all GOG wants to do is drum up curiosity, for people to check out their store, maybe download Galaxy. I imagine they know there’s hardly even a sliver’s sliver of a chance they’ll dethrone Steam, but some people might consider using both. Galaxy even allows for crossplay with Steam friends in some games, so it’s not as tall of an order as it could be. If nothing else, this is a convenient feature for users of both Steam and GOG. As GOG put it, “You own the games, so why buy them more than once?” It’s also nice to see a company reinforcing the idea of video game ownership in these increasingly murky times of online requirements, mandatory clients, and easily revoked subscriptions. Again, it’s probably not enough to turn the industry-wide tide, but I’m glad there’s someone out there offering people options.